Hotel is the home when you are far from your home. You settle only for the best – be it in terms of facilities, amenities and the overall interior decoration that gives a feel-good factor to the guests. The last aspect seems to be very crucial as every nook and corner of the hotel needs to be uniquely and innovatively designed and decorated. Rooms, lobbies, restaurants with their latest trending styles inspire us to redo our own space. Not all of us are capable of creative imaginations but that doesn’t stop us to chase our dreams. Consulting well experienced professional interior decorator in Delhi or Mumbai like cosmopolitan areas in India where these professionals are redefining the look and feel of upscale hotels can ease your job. First impression always lasts long. This is exactly what the lobby of a top-notch hotel aims for. Lobby is the entrance of the hotel – a large spacious hall which incorporates reception area and common seating and relaxation area for the guests. 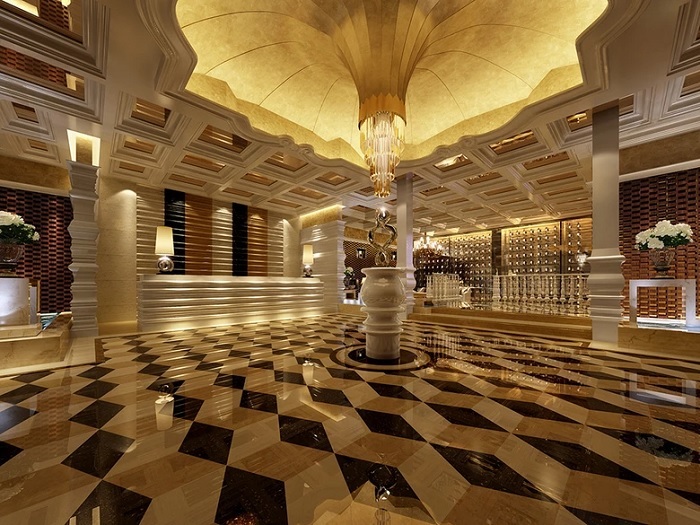 Hotel lobbies of luxury chain of hotels should reflect sophistication and elan. The glamour quotient of hotel lobbies can be achieved by incorporating the latest trends in hotel interior designing. Gone are the days of standardization. 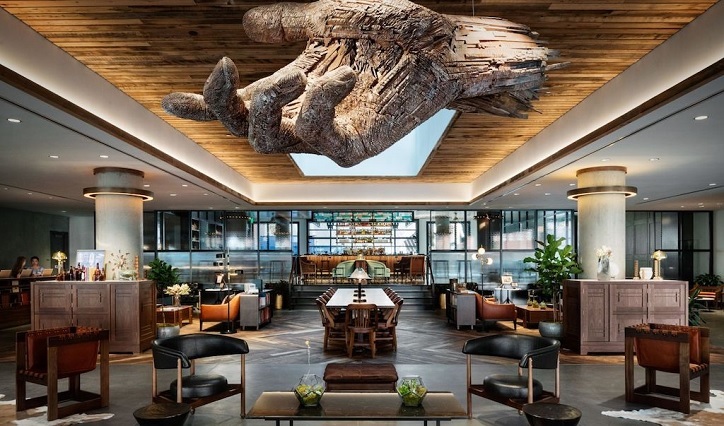 Nowadays hotel interior designers are working upon eclectic trends to give each lobby a different look, even if it belongs to the same group of hotels. Beautifully decorated hotel lobbies with statement ceilings and ultra modern lighting fixtures can be the perfect mood enhancer once you step in. 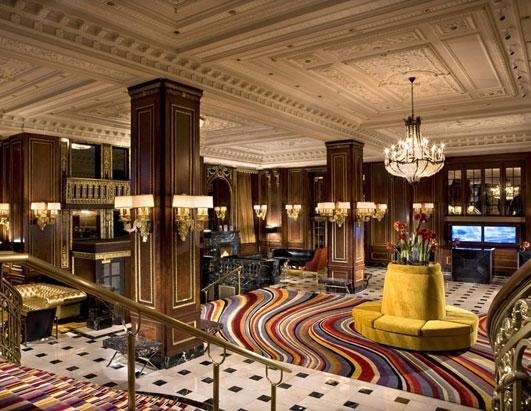 Royal interior decoration is among the preferred choice among stunning lobby designing. 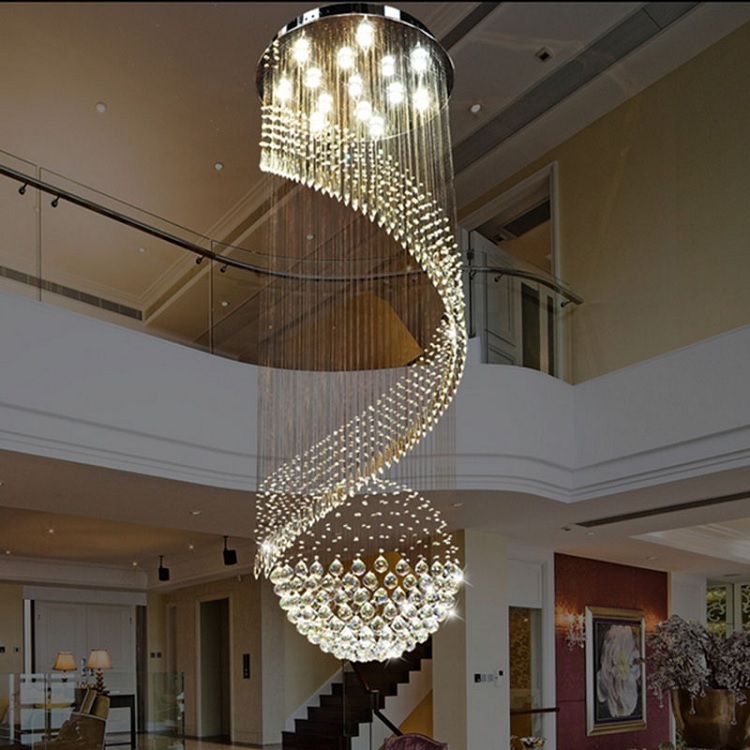 Just imagine the opulent dramatic effect that can be created with royal fixtures like large chandeliers amidst ultramodern furniture and upholstery. 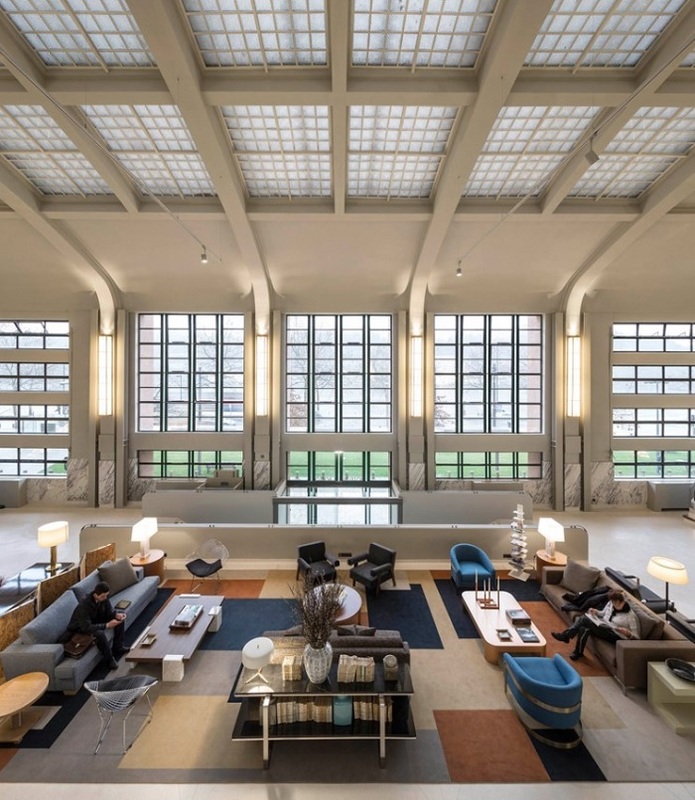 Large floor to ceiling windows are kept transparent or open to let in the morning light glow up the lobby space. Scenic view of the surrounding comes as a bonus. The interior decor style of England’s royal homes like Buckingham Palace, Kensington Palace, and likewise is on the radar. 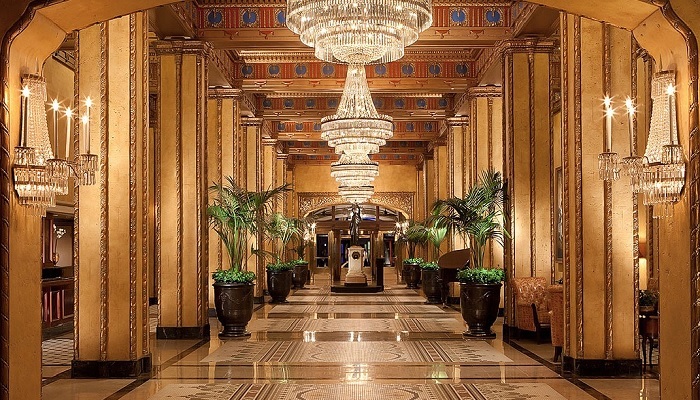 Currently hotel owners are opting for palatial look for hotels. Cool and chic lighting fixtures are incorporated to lend a smart look to the lobby. Playing with colours is important. For instance, aqua blue color at lobbies is just perfect for hotels catering to corporate travelers and this multi coloured lobby is also adding an incentive to the entire decor. You can bring in a dash of mid-century appeal by opting for sculptural artwork from bygone times. Hoteliers and the hotel interior designers are keen to experiment with new, ultra-modern stylistic concepts. The aim is to create a unique atmosphere in sync with the local flavor, so that each hotel stands out among the crowd. 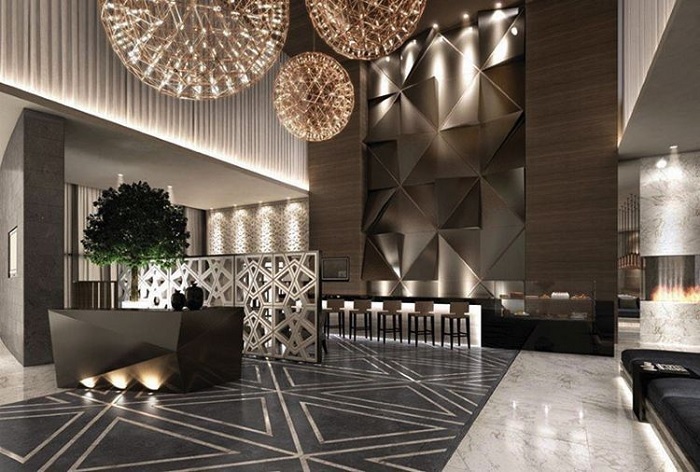 Premium experience is the watchword when you think of interior designing for hotels because hoteliers look for returning guests to add to their long list of happy travelers.